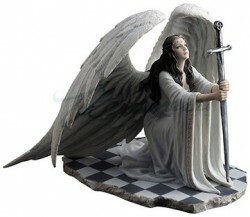 Beautifully finished gothic angel figurine from the Anne Stokes collection. Excellent detail, including a marble floor base. Cast from solid resin for a stone statue effect and weighty feel.